A meditation and a manifesto on why wild lands matter to the soul of America, told through memoir, diaries, letters, poetry, and reporting. This is not a guidebook to the best parks, hiking trails, and campsites, and best, most affordable lodging. It is much more ... might be a lot to absorb. But if you have never set foot in a national park, love the wilderness, like history, or enjoy great storytelling, The Hour of the Land is calling you. 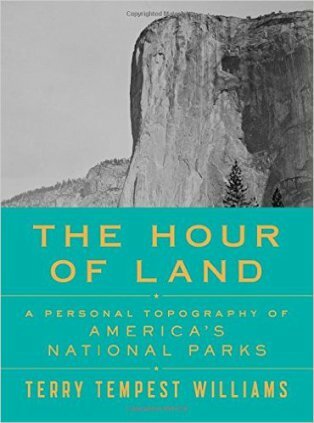 The Hour of Land isn’t a guidebook, taking readers through the nation’s most popular or most frequently visited parks — quite the opposite. Instead Williams embarks on an idiosyncratic journey through various landscapes (some empty, some crowded), delving, along the way, into the politics, activism, history and people that are also a crucial part of them ...Williams’s alarm at humanity’s calamitous impact on nature is indelibly imprinted in her writing ... Williams can sometimes get carried away by her anger at what’s being done (or not done) by the government, private companies and polluters. A few sections concerning acts of civil disobedience and environmental activists feel somewhat labored. 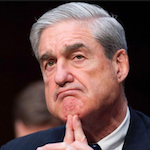 But these are minor quibbles. The Hour of Land is one of the best nature books I’ve read in years. It’s a truism that’s almost a cliché, but convincingly Williams shows how national parks can be both symbols of and actual catalysts for the things that are best about America, offering a montage of grandeur that can not only make one tear up in gratitude and an embarrassing sort of patriotic pride but also demonstrate the real value of these “wholesome” feelings to human emotional life, spurring one to engage differently with the world ... By her own admission, Williams—who is not a historian or policy expert—writes out of her own ignorance here, allowing her questions to guide her. Perhaps as a result, there is at times something tentative, even provisional, about her prose, which can dart between platitude and rhapsodic abstraction. What did you think of The Hour of Land: A Personal Topography of America's National Parks?